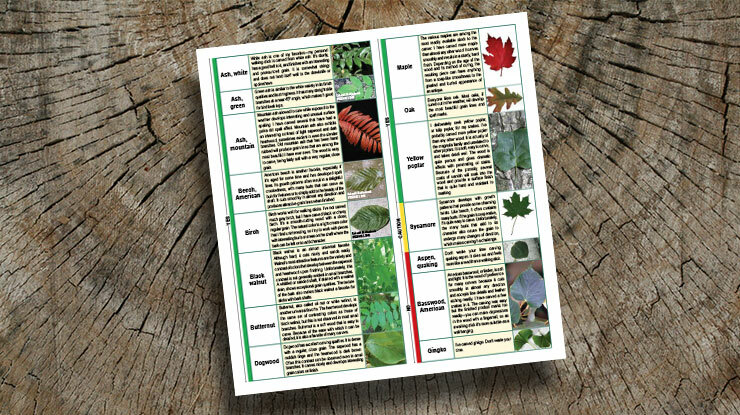 Most woods are safe, but a few common woods can cause some serious health problems. Print out this quick reference chart to keep yourself safe. Dust masks and air cleaners are on the list of necessary tools in most shops, but research shows that some woods are more dangerous than others. Most woodworkers realize that over time, wood dust can cause many of the same lung problems as asbestos. But some woods have developed their own protection against insects, microbes, fungus, and even other competing plants. These defences, usually in the form of an irritant or toxin, carry over to the lumber used in woodworking projects. Not every person responds to these woods the same way, but the attached chart highlights some woods that you might consider taking more precautions with. 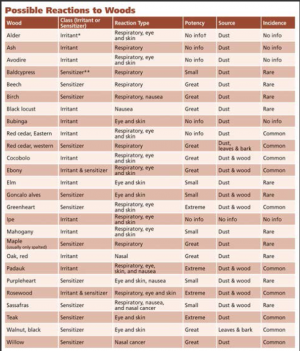 Sawdust irritates a person’s respiratory system, but some woods, such as willow, can actually cause nasal cancer!While most of the reactions on the chart are caused by the wood dust, a few are confined to jus the bark and leaves. At the other end of the spectrum, contact with the actual wood of some species can cause extreme reactions. Those woods are usually the more exotic tropical hardwoods, such as rosewood, padauk, and teak, but sassafras (a relatively common found wood) can cause breathing problems, nausea, or even cancer. 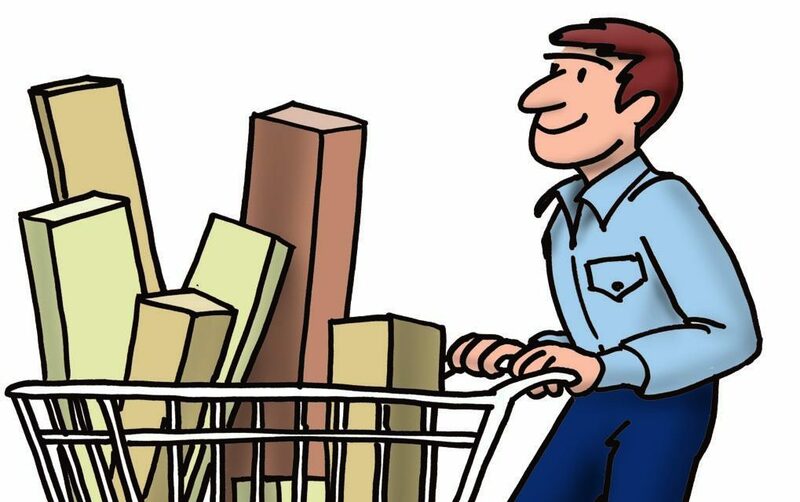 If your project calls for a toxic wood, wear a Tyvek suit with hood and boots (available from the paint department at most home improvement stores, googles, a dust mask, and gloves. 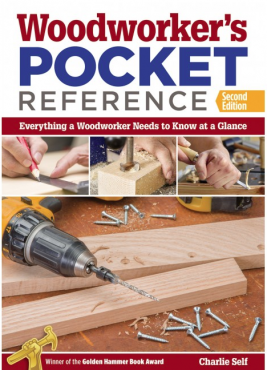 For more quick reference information, check out Woodworkers Pocket Reference by Charlie Self. Conveniently sized to fit a shop apron, this handy DIY reference is packed with tips and answers to all of your woodworking questions in an easy-to-read and quick-to-find format. Available for $12.99 plus S&H from Fox Chapel Publishing, www.foxchapelpublishing.com.